A couple of things about this concept design struck me immediately, first it has a great promotional website to illustrate its capabilities, including transformations, and second the prototype has a very finished product look with very nice attention to detail, something most prototypes lack. 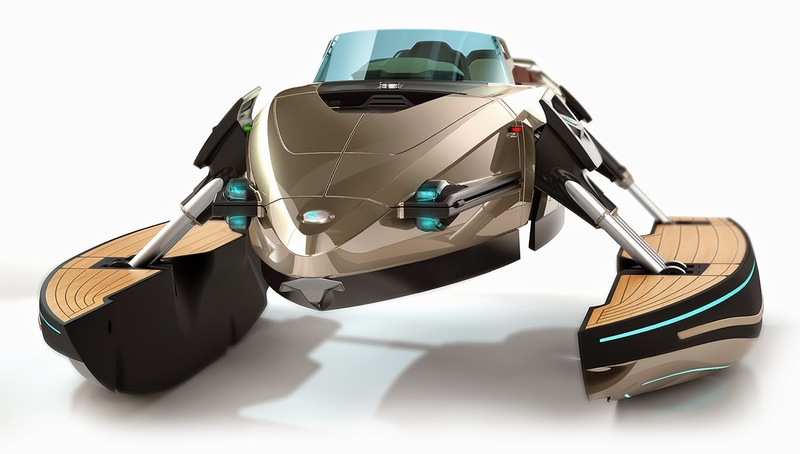 The Kormaran is a very ambitious design incorporating five completely different operational modes in one watercraft. Not only can it operate in a standard displacement monohull configuration but also as a catamaran, trimaran, deck boat, and hydrofoil. The website has a fun interactive display that demonstrates the moving parts when changing to different modes of operation. The most impressive feature of the design to me is the incorporation of a hydrofoil mode, where the pontoons retract to a monohull style configuration as the foils deploy underneath. All these moving parts should be heavy, the use of composite materials means the 23ft craft only weighs about 3300lbs, even equipped with three 493HP jet drives (and where do I get one of those?). Top speed is rated at 44MPH which is assumed to be in flight-mode where resistance is minimal. 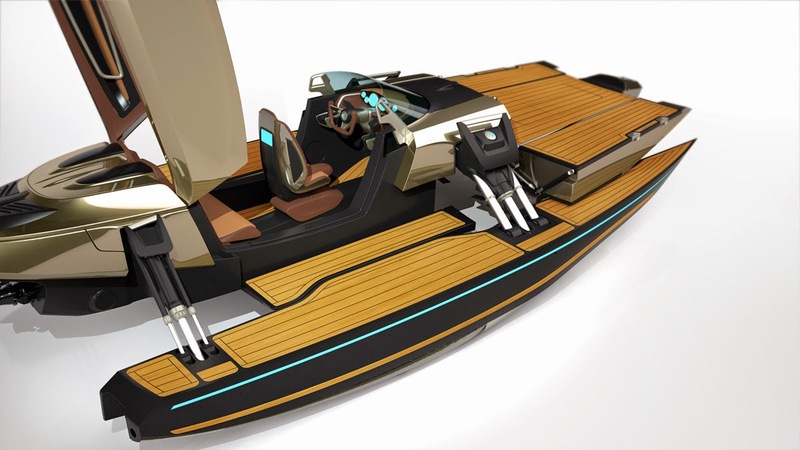 The deck boat configuration is probably the most ambitious in terms of transformation. The only elusive design feature, but the most important, is the application of the thrust which the hydrofoil configuration may provide clues to understanding. In order to operate in flight mode (hydrofoil) the propulsion must be located in the foil sections themselves, either using one foil or both. 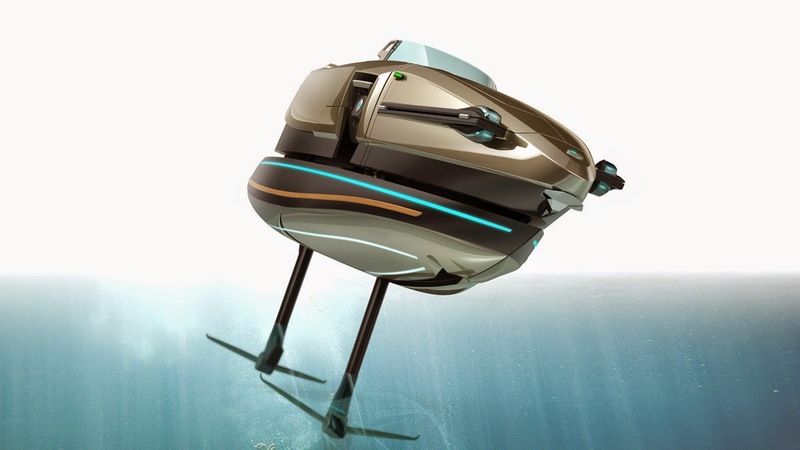 The other possibility is to use the foils to direct water up to drive impellers to be ejected out the transom as a mass reaction drive, but this seems unlikely. The idea that thrust is somehow applied at the foil assembly is supported by observing that they are at least partially deployed in nearly every configuration. It would be nice to see more specifics on that aspect of the design, since the solution represents the real success or failure of the design. This is the second prototype for the company but judging by detailed close up images its more than ready for production. No word on pricing but it's not hard to imagine it being somewhere between ridiculous and laughable.